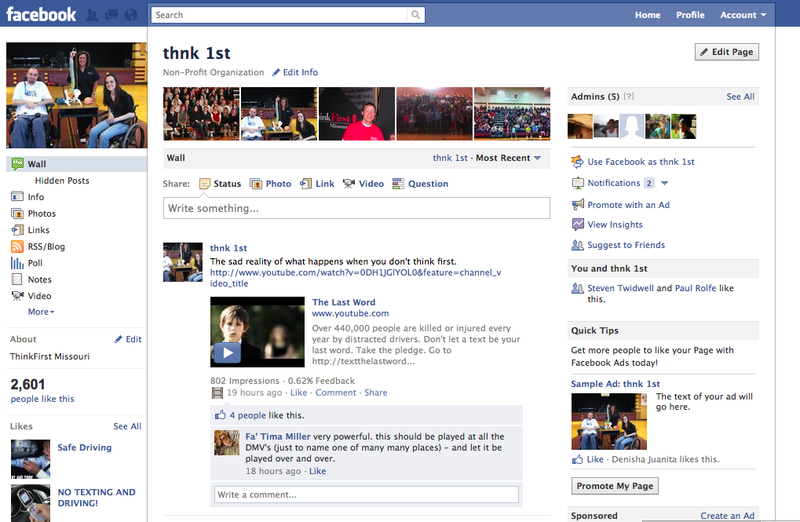 I recently served as one of two social media managers for ThinkFirst Missouri. ThinkFirst Missouri is an award-winning trauma prevention program of the University of Missouri School of Medicine, Department of Physical Medicine and Rehabilitation. My duties included develop and execute an engaging social media campaign for Missouri teenagers that included Facebook, Twitter, and YouTube, regularly review social media analytics data and make monthly reports to ThinkFirst consultants for suggestions, and develop a plan for future ThinkFirst social media managers. Here are examples of ThinkFirst Missouri’s Facebook and Twitter pages that I was responsible for updating on a weekly basis. Click here to view ThinkFirst Missouri’s Facebook page. 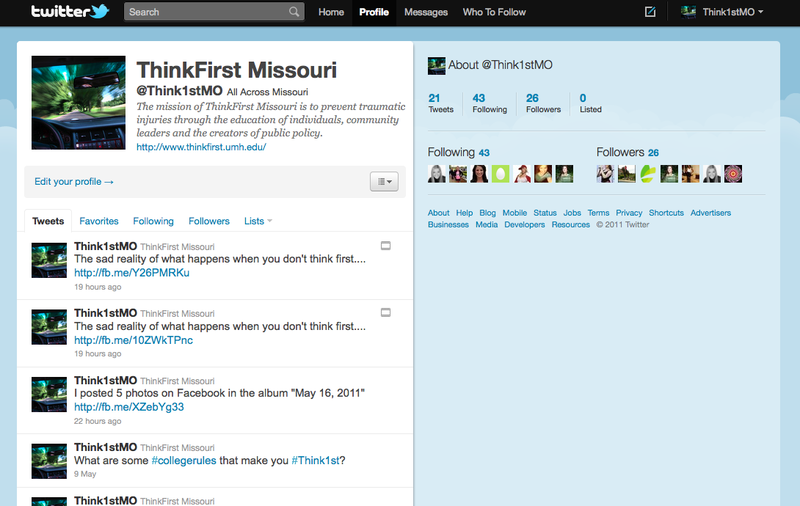 Click here to view ThinkFirst Missouri’s Twitter page.